law of conservation of momentum. 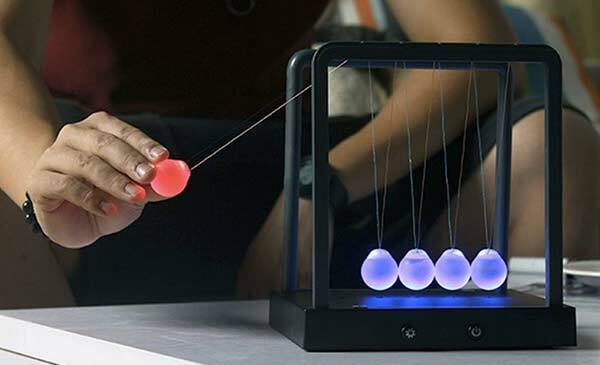 The motion of this 5-ball cradle is the most addicting way to demonstrate Newton's law of conservation of momentum and energy. 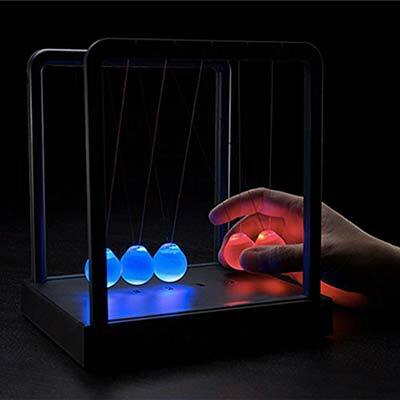 The Newton's Cradle Light changes colour as it swings. 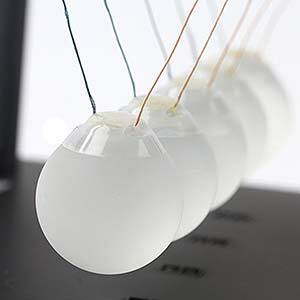 There are three colors of the balls when it is working. You can press the button on the left to change the colors. This Monopod can be extended to 43in, with adjustable phone holder clamp and thumb screw of monopod locks for multiple angle shooting with 180 degree position. Markie Moose scratcher knows how to get rich! It comes complete with a lucky penny. 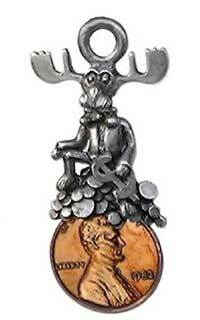 Add it to your key chain, wear it as a necklace or just stash it in your pocket or purse for LUCK. Owl scratcher knows how to get rich! It comes complete with a lucky penny. 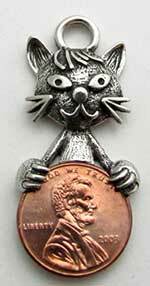 Add it to your key chain, wear it as a necklace or just stash it in your pocket or purse for LUCK. Scratch Cat knows how to get rich! It comes complete with a lucky penny. 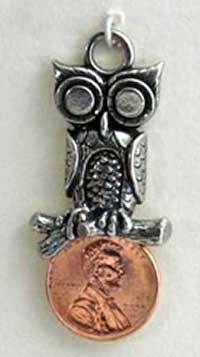 Add it to your key chain, wear it as a necklace or just stash it in your pocket or purse for LUCK.